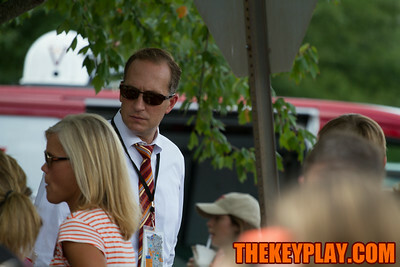 Virginia Tech AD Whit Babcock watches as the team walk begins on Spring Road. 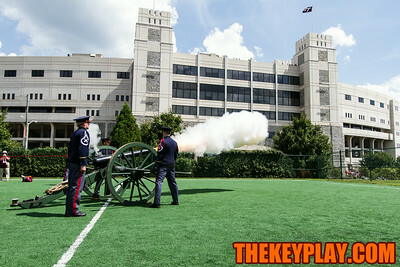 The Virginia Tech Corps of Cadets fires "Skipper" at the first Hokie VIllage two hours before kickoff. 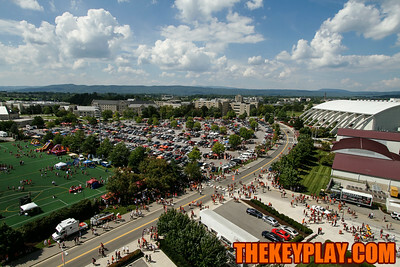 The view of the tailgating scene from the top of Lane a couple hours before kickoff. 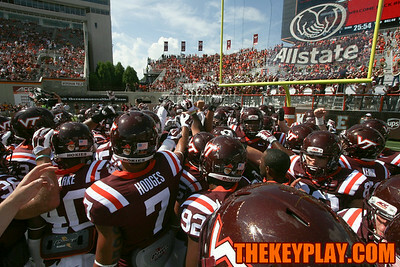 The team huddles before heading back into the tunnel after warm ups. 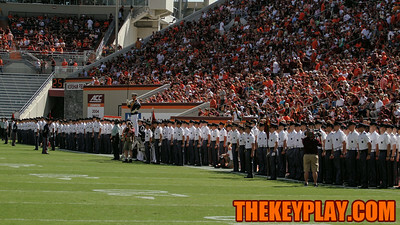 The Corps of Cadets stand at attention before the national anthem. 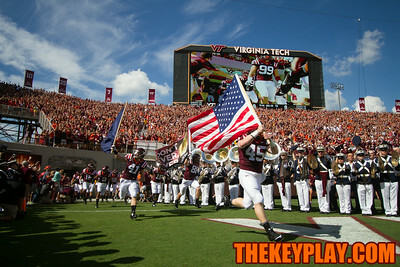 Sam Rogers (45) carries the American flag to lead the Hokies into Lane Stadium for the first time this year. 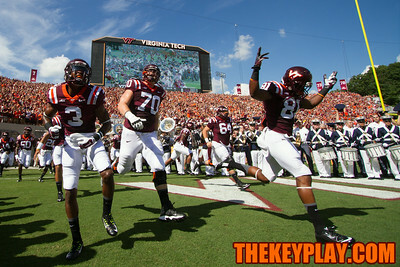 Greg Stroman (3), Adam Taraschke (70), and Kevin Asante (81) run into Lane Stadium. Michael Brewer (12) runs with the ball in the first half. 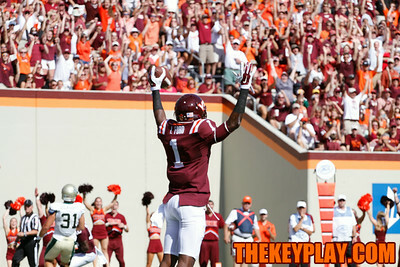 Isaiah Ford celebrates his first career touchdown in the first quarter. 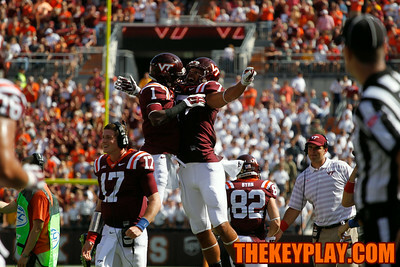 Isaiah Ford (1) celebrates his first touchdown with Bucky Hodges (7). 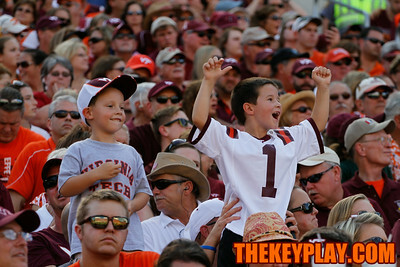 A couple Hokie fans cheer on the team from the West Stands. 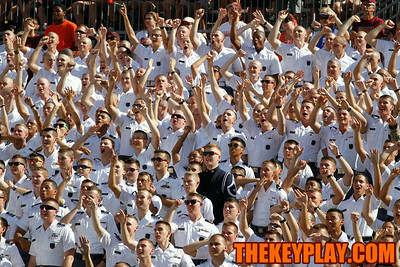 The Corps of Cadets cheer on the Hokies from the South Stands. 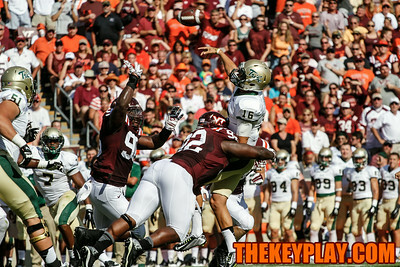 Luther Maddy (92) hits William and Mary QB Steve Cluley as he releases a pass. A.J. 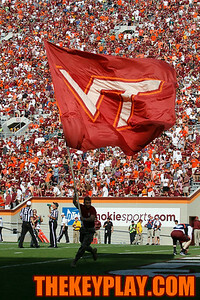 Hughes unleashes a punt in the first half. Marshawn Williams (42) celebrates a what he thinks is his first career touchdown, but was later called back on a holding penalty. 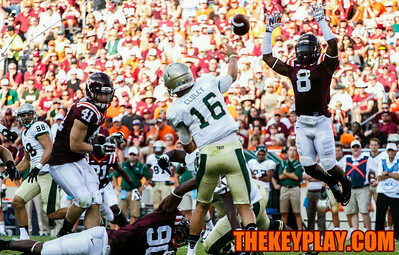 Bucky Hodges (7) pulls away a touchdown catch from William and Mary's Aireck Green. Cam Phillips (18) runs towards Bucky Hodges (7) after he caught his first touchdown pass of the season. Dietrick Bonner (8) leaps to bat the ball as Steve Cluley (16) throws a pass. 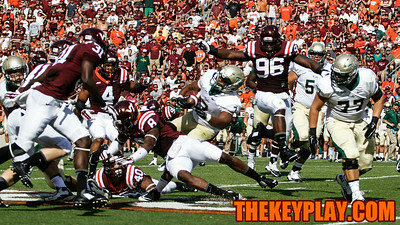 Shai McKenzie (22) breaks off a run for his first career touchdown. 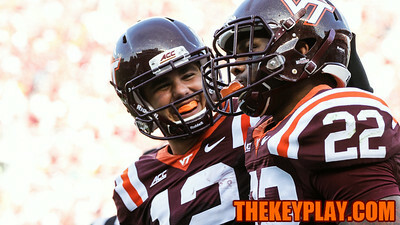 Michael Brewer (left) congratulates Shai McKenzie (right) after his first touchdown of the season. 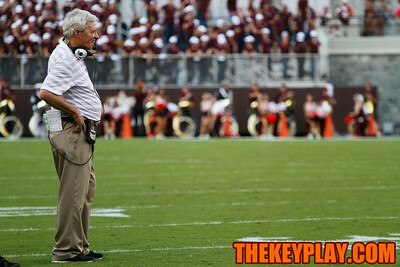 Head coach Frank Beamer looks on during a timeout in the game. 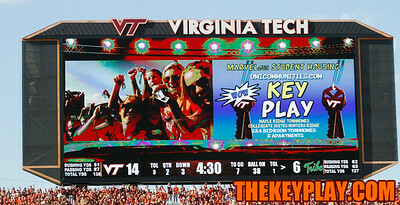 J.C. Coleman runs in for his first touchdown of the year. 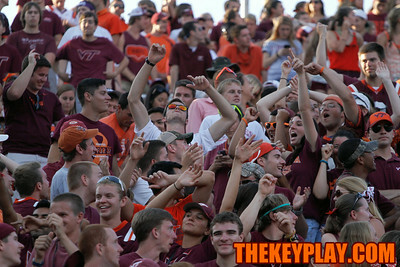 Students in the North End Zone continue to have fun late into the game. 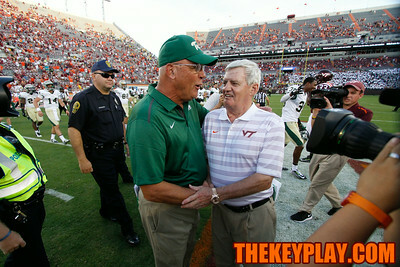 Virginia Tech head coach Frank Beamer (right) talks with William and Mary head coach Jimmye Laycock after the game. 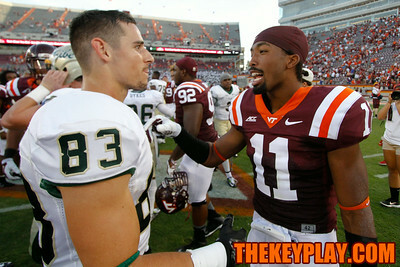 Kendall Fuller (11) talks with Sean Ballard (83) after the game.